Due to the desire to lose weight and shed pounds fast, many people try many things and products just to attain this goal. Many lose weight product brands claim to make you shed 10-20 pounds quickly. One of the most common ways to weight loss is using laxatives. Laxatives are any forms of food or drugs that may be taken to prompt bowel movements. The bowel movements result to diarrhea or vomiting. They say that this is effective in losing weight but this can lead to serious side effects if abused. Taking it is actually causing water loss which is helpful in losing weight since fluids contribute to weight. How do Laxatives Work ? The common belief of most is that laxatives cause you to lose weight and slim fast. Laxatives work on the colon. 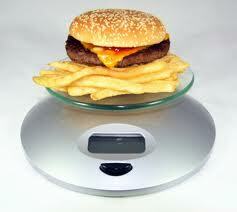 By the time food reaches the colon, the calories from the food have been absorbed by the body already. Everytime you go to the toilet, you only lose water weight. Basically, it clear up the colon with the use of herbal products or medicines. Since it does not work on the small intestine where calories are absorbed, it has little effect on losing fat. To avoid further damage or dependency, discontinue using them after bloating is relieved. Natural laxatives found in tea are fine, though. Laxatives should not be taken with antibiotics, heart and bone medicines, and blood thinners. Frequent use can cause severe complications. So learn other safer ways to burn off body fat and calories. Consult your doctor before doing anything. Be safe!